Prince Harry’s Knighthood, Swedish Royal Wedding news, Prince William weighs in on the FIFA issue and attends the FA Cup Final, Queen Elizabeth II attends the Women’s Institute’s Centenary celebrations, despite the BBC saying she died the day before! 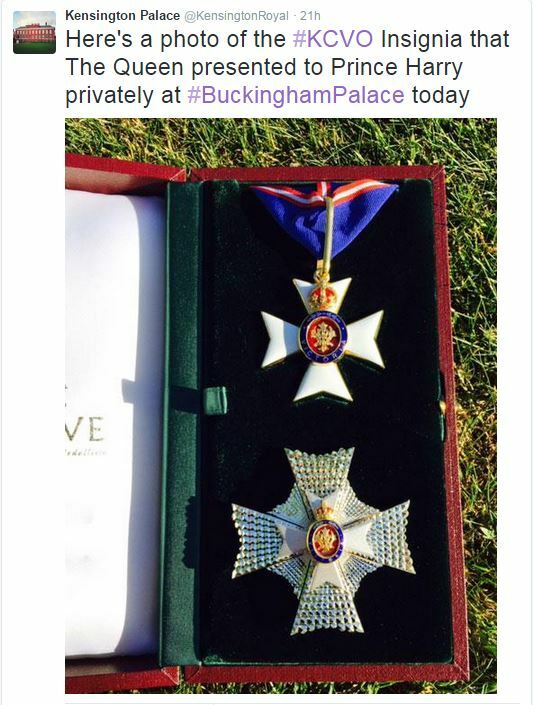 Awards in the Royal Victorian Order are made personally by the Queen for services to the Sovereign. Big Oops! BBC journalist sent out a tweet saying the Queen was dead earlier this week. Apology from the BBC regarding tweet sent in error. Princess Anne and Sophie, Countess of Wessex, helps Her Majesty the Queen cut the Centenary cake. The Duchess of Cornwall meets six of the original Calendar Girls, whose story inspired the movie starring Helen Mirren and Julie Walters.